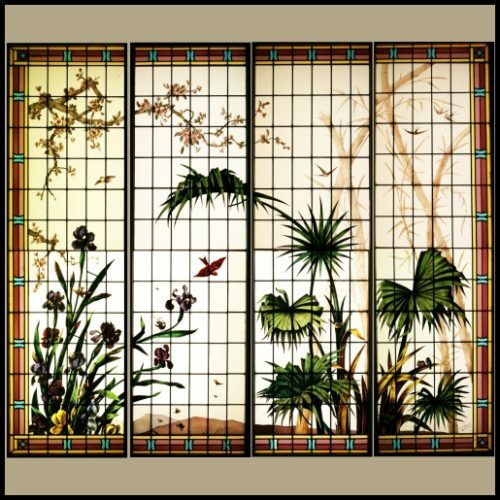 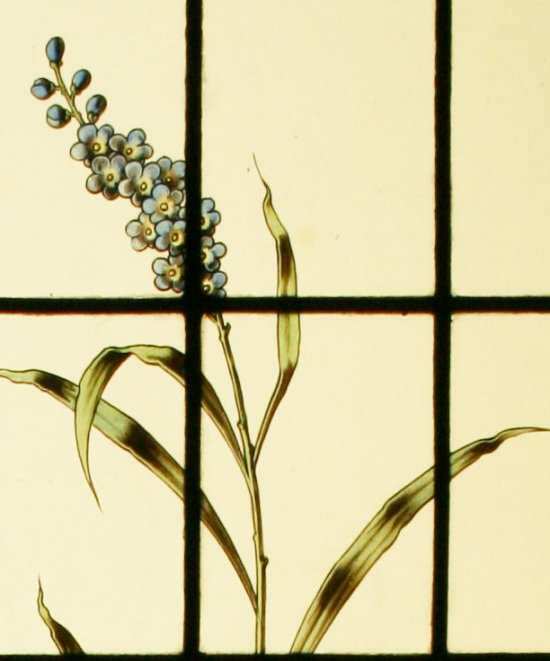 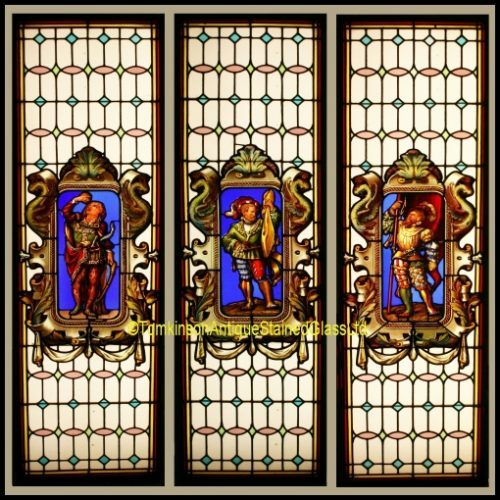 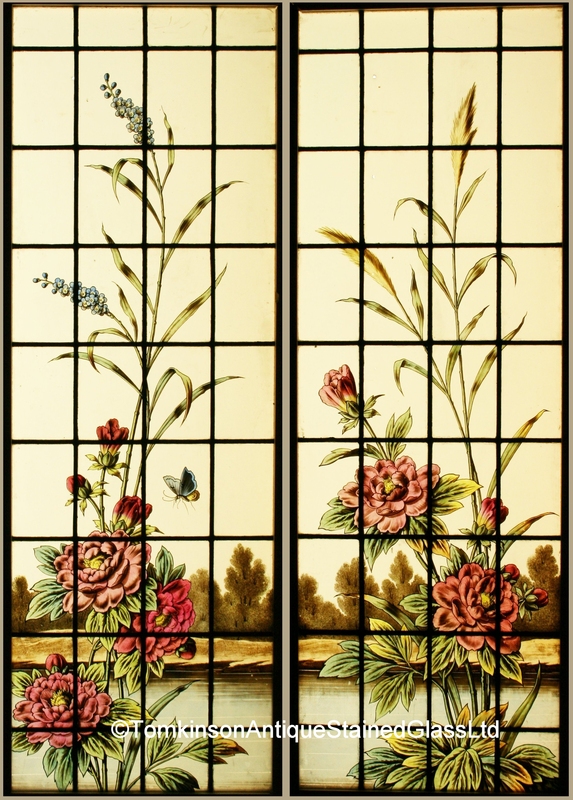 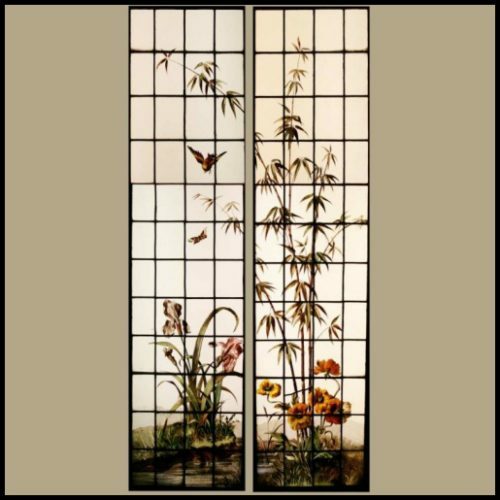 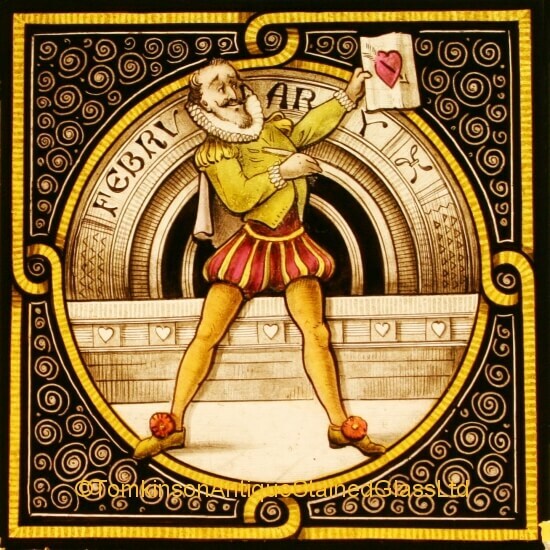 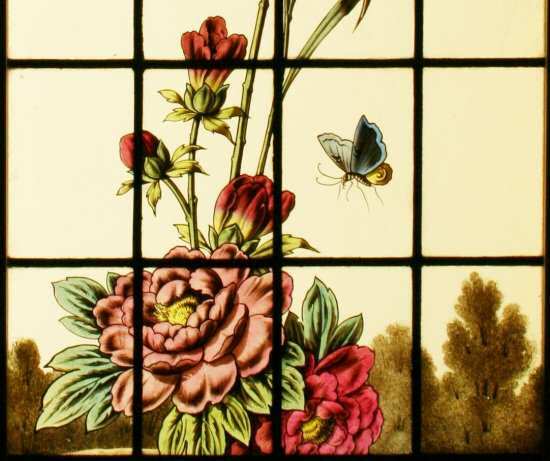 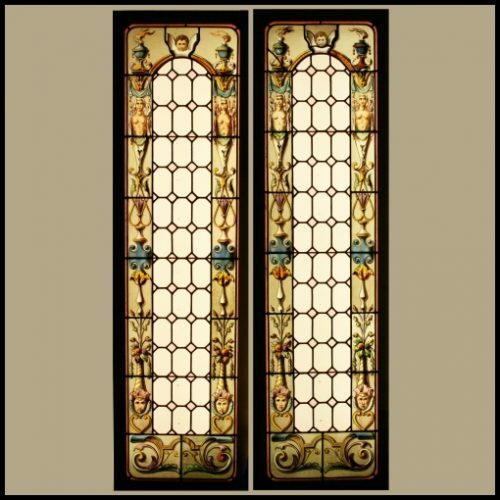 Pair of antique French stained glass château panels, c1900. 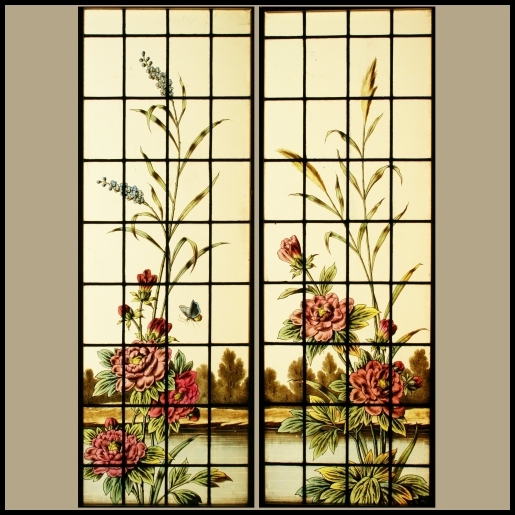 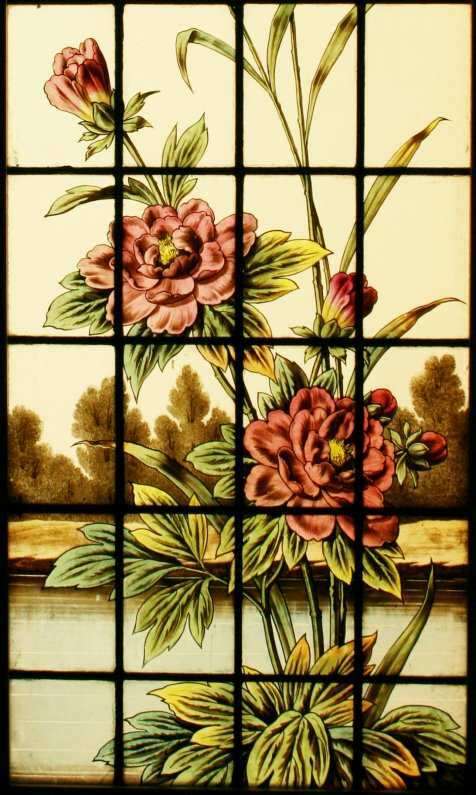 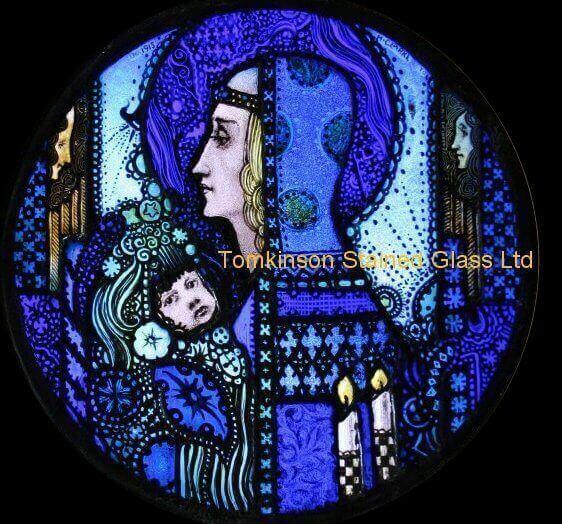 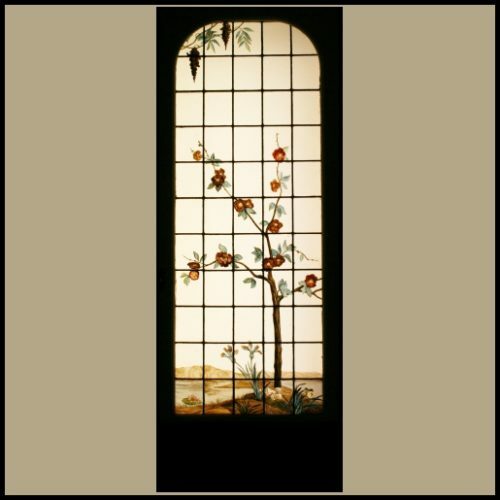 Each leaded with obscure glass and hand painted depicting stems of Red Peony Roses by a river. Both in windows are excellent condition and could easily be fitted into double glaze units making them ideal for a conservatory or sunroom.